For four days, a Mission couple has been living in a home without any electricity thanks to a struggle between their landlord and BC Hydro. 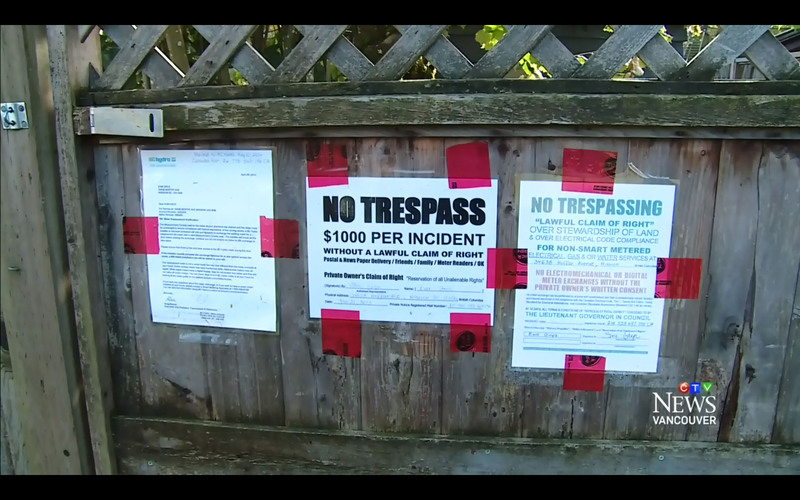 A couple renting part of a home in Mission has spent several days in the dark after BC Hydro cut them off. Tanya and Robert Eely have been living without electricity for four days thanks to a power struggle between the Crown corporation and their stubborn landlord. “We don’t have heat… we don’t have lights,” Tanya told CTV Vancouver on Friday. “We’re going to have to throw out our food that’s been spoiled. That’s going to cost money to replace it,” Robert said. The newlyweds rent the top level of a home, and the homeowner lives in the basement suite. 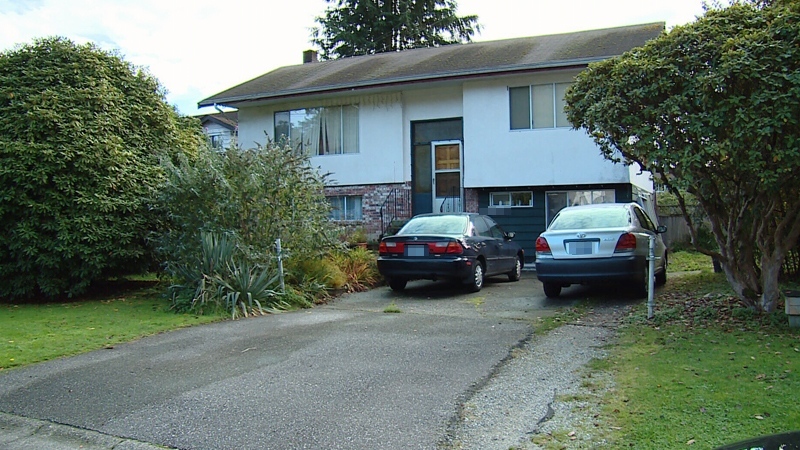 The owner, Ewa Gryz, is in the middle of a dispute with BC Hydro over the home’s expired meter. Mora Scott, a spokesperson for BC Hydro, said the company has to replace Gryz’s meter, but it’s located inside the home and she’s refused to let their crew inside. The property has a legacy meter with an expired Measurement Canada seal on it, and the company is legally obligated to replace any meters when the seal expires. Unable to do so, crews showed up on Tuesday and physically cut the power lines. The Measurement Canada seals are made of nylon line or metal wire, and lock the meter’s case so they can’t be tampered with. All meters installed by utilities in Canada have an expiry period of between six and 12 years, and must be replaced before the end of the expiry date, according to Innovation, Science and Economic Development Canada. Gryz has the option of choosing a new smart meter or a radio-off meter. Smart meters are installed for free, have no monthly fees, and include automatic reading and next-day consumption information. Some people have expressed concern about the possibility of health effects from exposure to the radiofrequency emitted by the meters. More information is available through Health Canada. Radio-off meters do not feed a signal out, and can be installed for a $22.60 set-up fee and $20 monthly fee. The fees cover the costs of resources, equipment and systems that are automated with smart meters. But Gryz has refused the mandatory replacement. She told CTV News that she’s concerned the new meters the corporation installs will cause health issues. She said she wants a third choice – a digital meter like her son has – but BC Hydro says the device is being phased out. Caught in the middle, Gryz’s tenant Robert says he understands where BC Hydro was coming from when they decided to cut off the power. “They are wanting to do their jobs. But at the same time, you shouldn’t be forced to make people suffer,” he said. The sides are at a stalemate, and the home will stay dark until a decision is reached. A desire to keep a 74-year-old “beautiful” BC Hydro meter and an unwillingness to accept a new unit has left Ewa Gryz without power for a week. 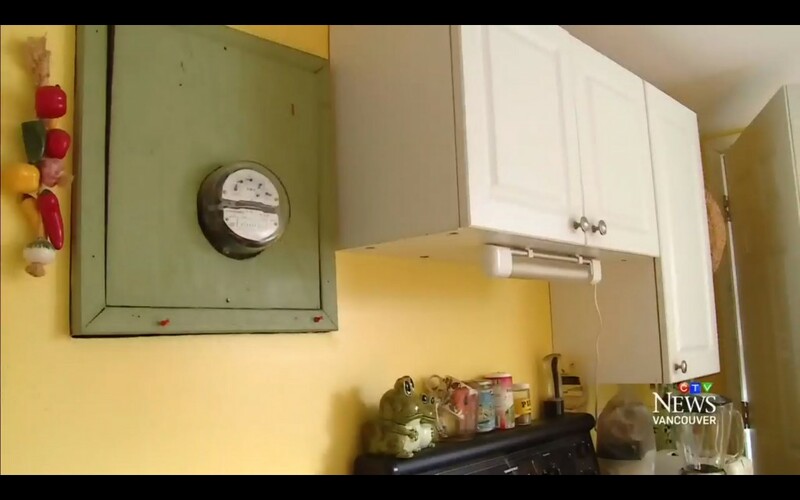 Gryz said BC Hydro shut off power to her Hatzic home on Oct. 25 over her refusal to have her meter replaced, either with a smart meter or a “radio-off” meter with no communication ability. Gryz wants an old-style legacy meter, something the Crown corporation says it can no longer supply. Gryz claims she was told conflicting things, and is adamant that legacy meters are currently available as her son had one installed recently…. With people renting the upstairs of her house, Gryz said she has become “very stressed out” over what has become a three-year battle over the meter’s replacement. Without power, her renters have moved into a hotel. “I’m just standing for those people who are being told they can do nothing about it, that it’s mandatory. This is bullying in a big way, and that should never happen. This entry was posted on October 29, 2016, 12:08 pm and is filed under BCHYDRO, British Columbia, cut power, health and safety, MIssion, Smart Meter. You can follow any responses to this entry through RSS 2.0. You can leave a response, or trackback from your own site. I thought the minister for BC Hydro promised that no one would be forced to use a smart meter??? They cut my power off for 18 minutes, while the two hydro stooges took my meter which was put in place here in 1978. Never a problem. CL approved for life. BCH is using “Measurement Canada” to allege that some analogue meters have expired. BCH is alleging that the reason they MUST exchange meters is because of a Federal Act called the “Electricity and Gas Inspection Act”, which approved the voluntary use of wireless meters, prior to BCH selecting them. BCH has never been mandated under any Act, Federal or Provincial, to exchange analogue meters for wireless s/meters. No Federal Act of the Parliament mandates wireless s/meters. No Provincial Act of the Legislature mandates wireless s/meters. BCH selected a wireless s/meter. 1) Violating Section 26 of the Charter / Constitution… by denying the existence of “common law rights and freedoms” of men and women.. R.S., 1985, c. C-46, s. 8; 1993, c. 28, s. 78; 2002, c. 7, s. 138. 361 (1) A false pretence is a representation of a matter of fact either present or past, made by words or otherwise, that is known by the person who makes it to be false and that is made with a fraudulent intent to induce the person to whom it is made to act on it. where the value of what is obtained does not exceed five thousand dollars. Smart meter/radio off..cell phones..are all wireless microwave. Our houses are hard wired for 60Hz, which is safe, not wireless microwaves. Microwave is a pulsing wave, it’s wireless like your cell phones, it rides on top of the 60 hz wire (that’s why appliances burn out) Microwaves ride on top of all our copper pipes, I get zapped when I test my water for a shower. These s-meter/radio off meters are surveillance devices that monitors your energy consumption behaviour and it emits biologically destruction”pulsed” and “dirty electricity” radiation in your home, and it is unlawful trespass because BCHydro has no easement (rightful access) to do that. My house was built in 1978, my analog meter is UL certificated (underwriters Laboratories) that means it had been tested to be SAFE and last forever. Smart meter/radio off meters are not. My analog meter is covered under an old contract from British Columbia Electric Company with no expiry date, and has severed this house well without ever any problems. Why I say this…. in early 2012-14 BCH tried to change my customer id # on my hydro bill by adding 2 zeros to my customer billing number. If I had not noticed this change/or was not told about it, I would of given my consent to a new contract/smart meter. That’s pretty underhanded. PS. BELL owns CTV and loves data, wireless and all the rest. Did anyone ever agree to allow the utility to totally change the nature of the consumer utility relationship and to electronically trespass past the owner’s meter base and then monitor and use every part of the circuitry on the owner’s side of that boundary? How is every utility not practicing usurpation and theft of unshielded house wiring to serve corporate interests? How is that not a case of a corporation passing along all costs for all wear and tear and damage to the owner’s unshielded electrical circuitry, using ill equipped house wiring to carry corrosive microwave frequencies it was never meant to withstand? How has each utility not implemented a fundamental paradigm shift by covertly taking over every home’s ill equipped electrical system as well as electronic control of every item plugged into it? Since when do “customers” have to accept the conversion of all such privately owned systems into an circuitry extension of the utility’s own data collection and monitoring system? How isn’t the use of home wiring on private property the same thing as turning one’s home into a data mining network system locus? How is this not a case of each utility conducting corporate data mining on private property while inter linking private data with up to 5000 other similarly invaded and co-opted homes, having converted each and every one into one continuous network management system? And what assurance do we have that having breached this boundary they are not using house wiring to harvest and recycle and resell back to each customer the closed loop energy generation system while they may now use your home not only to transmit energy through but use your home to create energy? Lastly, how is any of that legal? How does the electric company have the right to access my analog meter base and board on which it rests? The onus to prove these are safe rests with the utility companies. Bibliography Of Reported Biological Phenomena Effects And Clinical Manifestations Attributed To Microwave and Radio-Frequency Radiation. We must remember on election day,The Liberal Government passed the law to have B C Hydro install Smart Meters on all B C homes whether or not home owners gave permission ! !DON”T FORGET ON ELECTION DAY !!! BC Hydro sent a letter to say it is going to replace our analogue (October 2018) with a Radio-off meter, whether we want it or not, because 1) “to make sure we are billing you correctly, we have to measure your electricity accurately and ensure we meet the federal accuracy standards set by Measurement Canada.” (Does that mean the analogues never were accurate?) and 2) “The Measurement Canada certification on the meter at your property has expired and must be removed from service.” “We let them replace our analogue about 2 years ago, because they said the original one had expired, so why would we need another one now? Why 2 reasons, neither of which seems “accurate”? Is anyone else dealing with this latest threat? I have just received the same notice. My analogue meter was replaced with a digital legacy meter about 4 years ago. Has your research uncovered any steps that can be taken?